Is the miracle berry diet just another fat diet? Before you get your hopes up here is the information you will need to make a more informed decision. If you could turn lemons into lemonade without adding sugar, imagine what you could do with 150 recipes to trip through your diet without having to make the same compromises, if it doesn't taste good it may be good for your body. The miracle berry takes the poison out of your diet by making it taste good. As an added bonus you also get omega-7 fatty acids for preventing overeating. There are many diets that are considered the berry diet. Variations of the berry diet include that where you diet eating berries such as the acai berry diet and others like the Halle Berry diet. However, what everyone is talking about is the miracle berry diet. What is the miracle berry diet? In 2012, Homaro Cantu part chef port laboratory food scientist to the world by storm demonstrating how he could turn lemons into lemonade with a pill made from a wild berry grown natively in West Africa like turning water into wine. Thus, the miracle berry was born. This pill made from West African berries is said to inhibit sour and bitter taste of things temporarily. Imagine being able to take bite out of lemon whole without having to brace yourself puckering so tight you can feel the walls of your mouth hugging your teeth. It just goes say the miracle berry is no party trick. Its newfound science that going to reshape the way you think about dieting and weight loss from how you look at food. However, if all the miracle berry could do was make lemons taste like lemonade there would be no reason for everyone to be talking about how it's literally going to change the world. There is more to it than making lemonade. 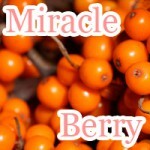 World famous Dr. Oz introduces the 'new' miracle berry also known as the sea-buckthorn berry. 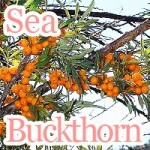 The seabuckthorn berry isn't just any food it's a super food or super berry depending on what you want to call it. 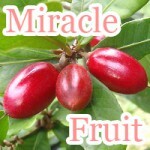 This miracle berry as Dr. Oz says it will improve the look of your skin and help you lose weight. That's antiaging and weight loss in a single berry. What else can you expect from the miracle berry? Besides being rich in vitamins, minerals, and healthy fat such as Omega-7 fatty acid, the sea buckthorn berry has many medicinal uses including: treating skin rashes, lowering cholesterol, and asthma relieve. For this reason it can be found in a variety of products not limited to cosmetic and anti-aging solutions. Eating sea-buckthorn berries is one variation of the berry diet. However due to the fact that not enough is known about sea buckthorn, the appropriate dosing should be treated case by case. Consulting with a trained physician is highly recommended before taking as a supplement or eating in raw form. It's not surprising that Homaro Cantu, one of the forefathers of the miracle berry and check, came up with the idea of putting out a cookbook showing people how they can use miracle berries for weight loss. The miracle berry diet cookbook is a compilation of eight years of Canto's life experimenting with the culinary art and science of cooking with miracle berries featuring 150 recipes. He calls it, "flavor tripping." Eating miracle berries creates a win-win situation in your diet. By helping to eliminate sugar not only does it help you cut back on calories but get full eating less. Neuroscientist, Susie Swithers PhD known for her work in behavioral neuroscience states that miraculin is not a miracle but simply a protein that makes food taste sweet. On the other hand, in an article publish in March 2012, she discussed how flavor tripping may be a double edge sword eventually ending in people overeating after losing their touch with flavor. On the journey to slim you pick up clues along the way. Some clues are easier sniff out than others. One prime example is the miracle berry diet. I was actually on my way to the acai berry diet but lost my way. That will be another day, another berry diet. Although the seabuckthorn berry and the miracle berry diet pill may seem like two utterly separate string hanging from the tree of life, the do have something in common, deception. Who is to say that just because you are able to taste things sweeter that you won't forget what real food taste like having an identification of flavor crisis on your hands? In doing the little resource it takes finding out more about seabuckthorn berries you don't have to wait long before finding out that there is no scientific evidence to keep you grounded down to earth. Yes, although it may feel warm in cozy inside after finding out that miracle berries give you more control over your appetite while promoting better looking skin and weight loss. However, those less faithful to the doctrine of diet, weight loss, and eat whatever you want and still not get fat, we have a problem. In retrospect, after diving into the details surrounding the miracle berry diet, I can say that I am not convinced that there is not something there. Paving the road in any field requires that you spend some time in the unknown. "Miracle Food: Can World Hunger Be Solved By Tricking Taste Buds?" ABC News. "The New Miracle Berry, Pt 1." The Dr. Oz Show. 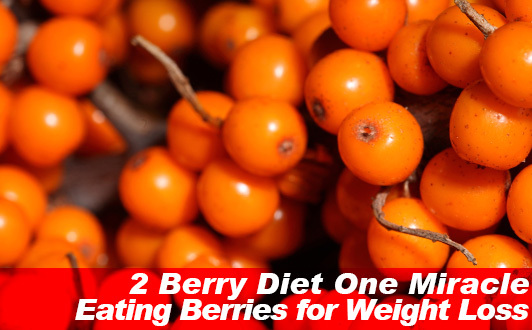 "The Miracle Berry: Can it help with weight loss?" Chicago Tribune..
"Fake-Fat Confusion: Experience Life." Experience Life. Macadamia nuts are not the only source of natural omega-7 fatty acids. There is also sea buckthorn to get better looking skin no other antiaging solution can give you. The breakfast cereal diet may be for you. For women who appreciate weight loss and an easy to keep up diet it’s the best of both worlds. Dietary fiber to get rid of constipation.